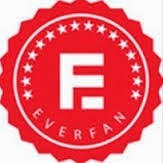 Have you ever heard of everfan?? They have really cool personalized super hero capes, whimsical capes, and even a collegiate line. The collegiate line is really a cool line I have never seen this before but the cape we choose was the Florida Gators seeing that we are from Florida and we love the gators I thought it would be perfect. This cape retails for $28.00 and comes with a face mask and wrist bands. 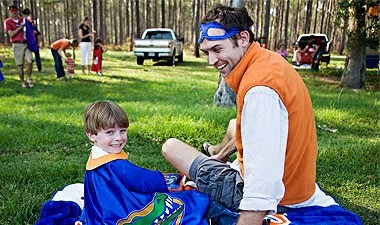 Designed for the Ultimate Gator Fan,this cape features a shiny satin exterior and soft cotton liner. 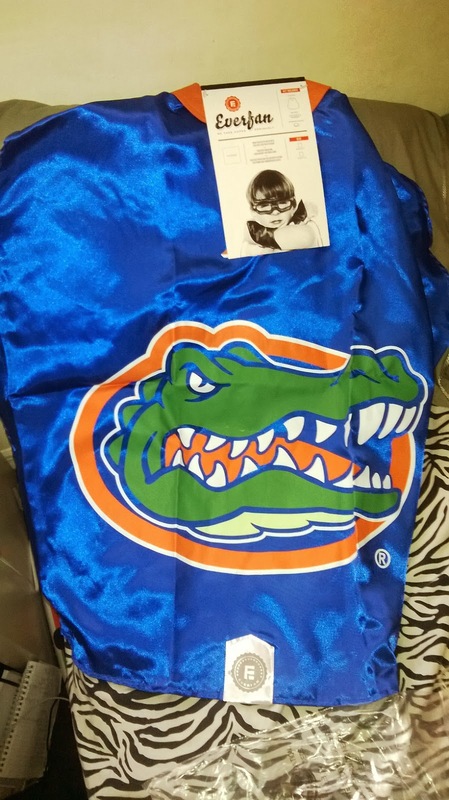 Whether you are leading ‘Two Bits’ or helping Albert & Alberta lead on the fans, this cape possesses all the powers needed to lead the Gators to victory. Every caped crusader needs to protect their identity. These masks increase your ability to scope out the bad guys wherever you are. Plus, no one needs to know who really saved the game at The Swamp. Something happens when you put on a superhero cape. A transformation that allows you to become stronger, dream bigger, and play harder. 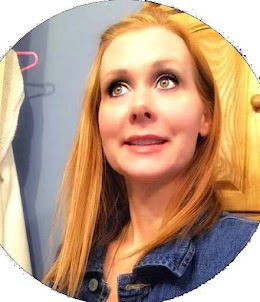 A cape will quickly turn a boring day into a rambunctious afternoon filled with spontaneous new adventures, uninhibited giggles, and a victorious happy ending. But did you know it’s good for you? Research shows that good old-fashioned playtime is key to healthy social, cognitive and emotional development... for kids and adults alike. So in 2010, we created the one and only Everfan Cape, and it’s for kids of all ages. If Scott were a superhero, his powers would be many: Passion, energy, clarity and imagination, all united by an unwavering determination. Scott is a landscape architect (owner of Chastain Design) by training, designer by interest, and entrepreneur by heart. His loves complement those of his wife, Katie, the always-smiling face of The Bookshelf and Gallery situated on iconic Broad Street in Thomasville, Georgia. In the midst of a persistent economic downturn, Scott rediscovered his imagination, dreaming of a venture that would combine two of his passions: superheroes and college football. Thus, Everfan was born.